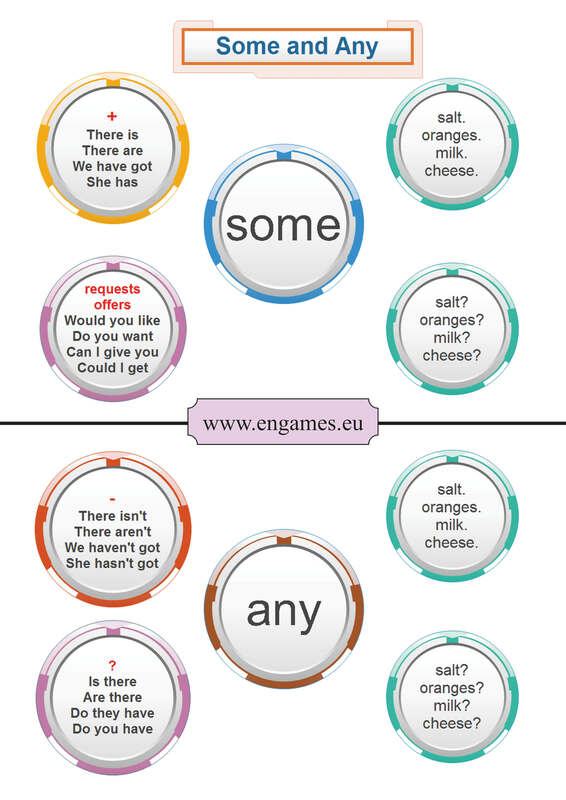 The usage of Some and Any in English is quite simple. Some is used in positive statements, requests or offers and ANY is used in questions and negative sentences. However, many textbooks confuse students by mixing this simple concept with the concept of countability. In this post I will try to keep the explanation as simple as possible. There is an infographic, an online quiz and two games in this post. Print or display the following infographic and ask your students to explain it to you. I am sure that there will be at least one student who will understand the infographic and will be able to pass the knowledge. If there is none, you should explain that SOME is used for positive statements, requests and offers while ANY is used in negative statements and questions. The first game is called Penalty Shootout. In this game you should choose the option and then try to score a goal. Good luck. The following quiz can help your students practise Some or Any either at school or at home. The quiz consists of two parts. In the first part, students should complete the sentences with Some or Any. In the second part, students have to match the beginnings and ends of the sentences. The students will be rewarded with a game if they pass. The quiz is in HTML5, so it will play on all desktops and mobile devices. You can find some interesting materials on Some or Any at the British Council site. And on Youtube you can see the following great video with the explanation of Some and Any.